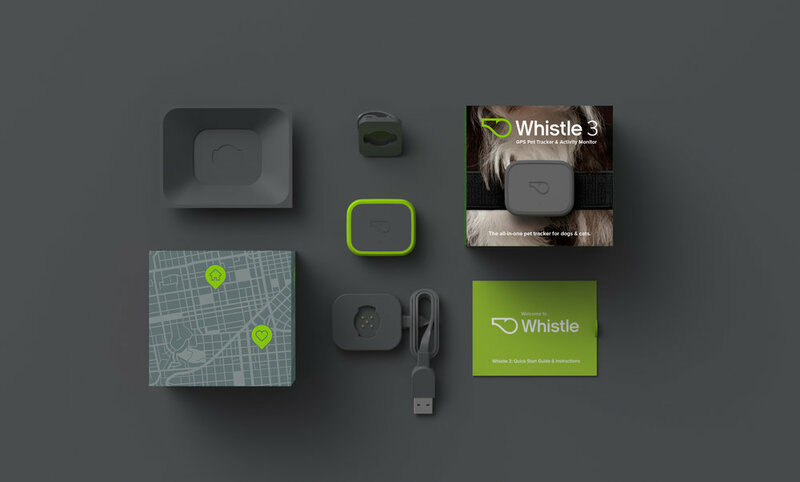 Whistle partnered with Enlisted to create the first device and app system to combine location-tracking and smart activity monitoring for pets into one simple experience, The Whistle 3, GPS Pet Tracker. With the goals of outwitting the most adventurous dogs and keeping the tracker unobtrusive, Enlisted felt that the device must fit securely on a pet collar and be as simple and intuitive as possible for pet parents. Throughout the process, Enlisted tested a variety of attachment methods, starting with form and material studies to determine how to keep the device as small as possible and the materials durable. Key to the visual brand language of Whistle 3 is a sense of adventure and attitude. So we decided to let our furry friends tell their own story. Each SKU's product packaging introduces a new dog, their favorite escape route, and how their pet parent can find them. Launching at CES January 2017, Whistle 3 is expected to become the go-to pet tracker for all pet parents. "We first met Beau walking the aisles of a pet industry tradeshow. I can guarantee he was the only industrial designer (or any other type of designer) in the entire building. We quickly fell in love with Beau's vision, empathy for our business, and the rest of the Enlisted team's energy and creative passion. These guys truly love to build stuff. They blend practicality with beautiful design, listen to feedback carefully, and are a dream to work with."